As you know, spring and summer have been almost completely dry. 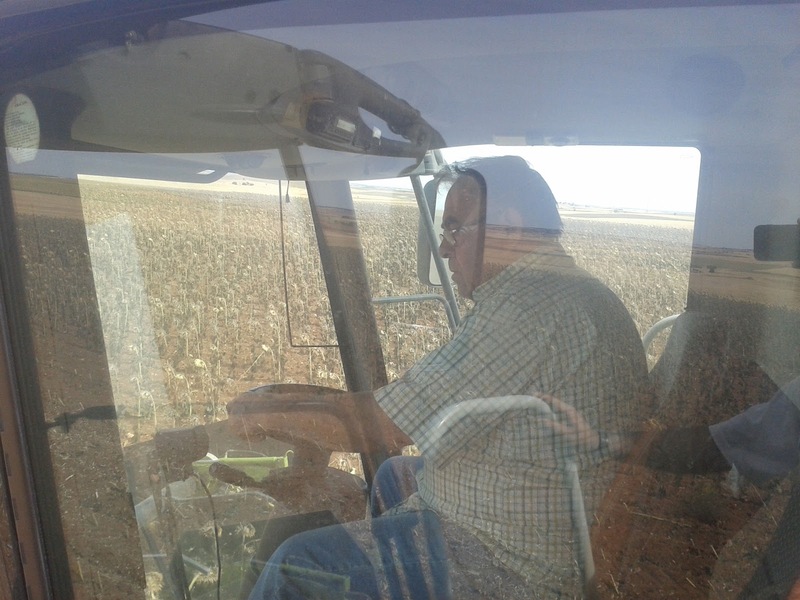 Then, this situation has brought forward the sunflowers harvesting about a month, sunflowers had a good performance. I remember when we were harrowing our sunflowers in June, we told they would need a little rain during summer if we had a good crop. 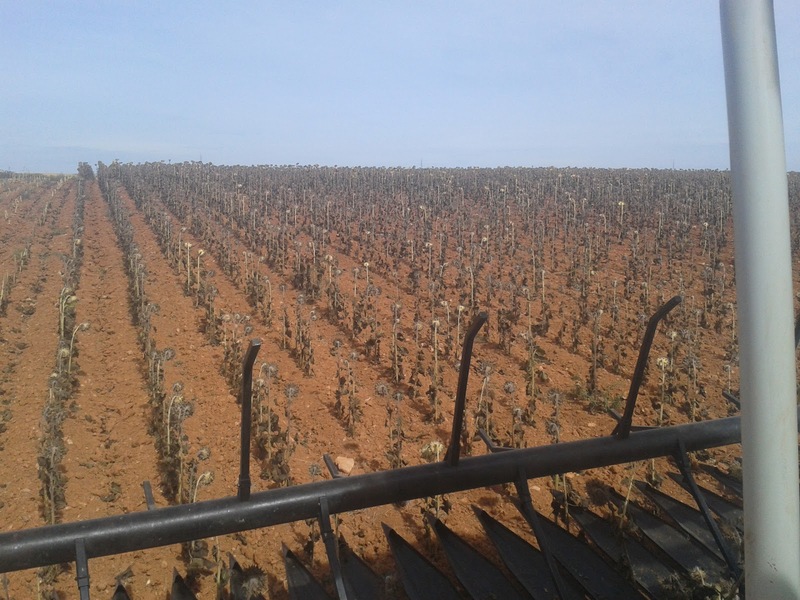 It has not rained but the average is about 850kg/ha. 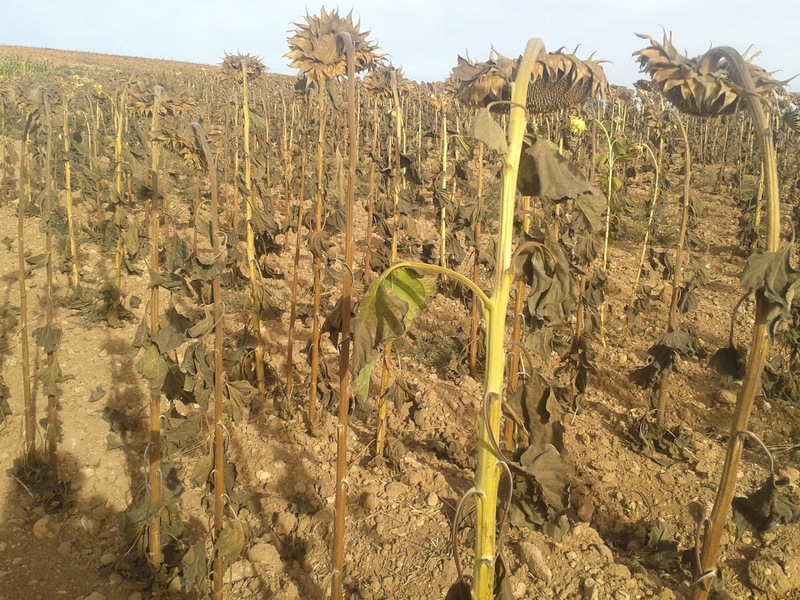 If we consider the price of sunflowers this campaign is really good (about 500€/to), we can conclude we were lucky and our crop was fantastic. 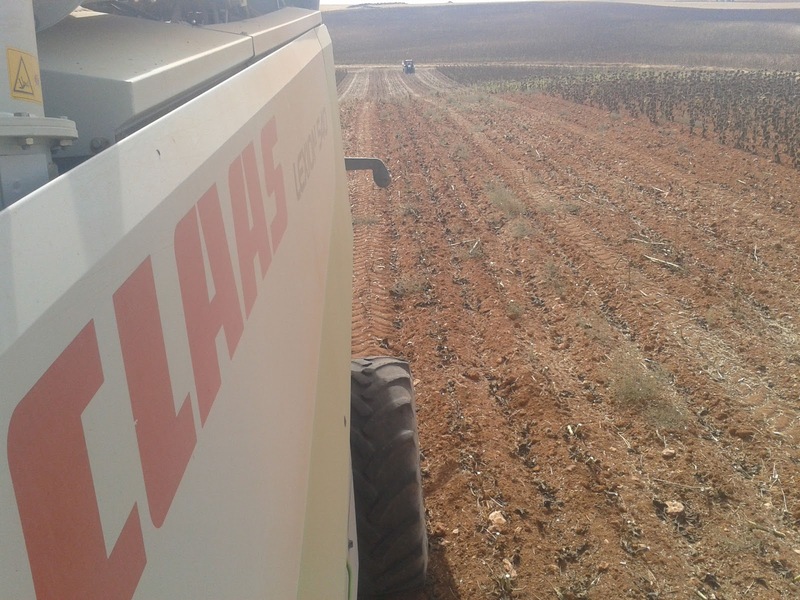 Regarding the harvesting day, I would like to comment Claas Lexion 540 worked very fine, as always, and we could harvest about 30 ha without problems and leisurely... the sunflowers campaign is very different to cereals campaign. Farmers are more relaxed because fields are smaller and harvesting is not so urgent. 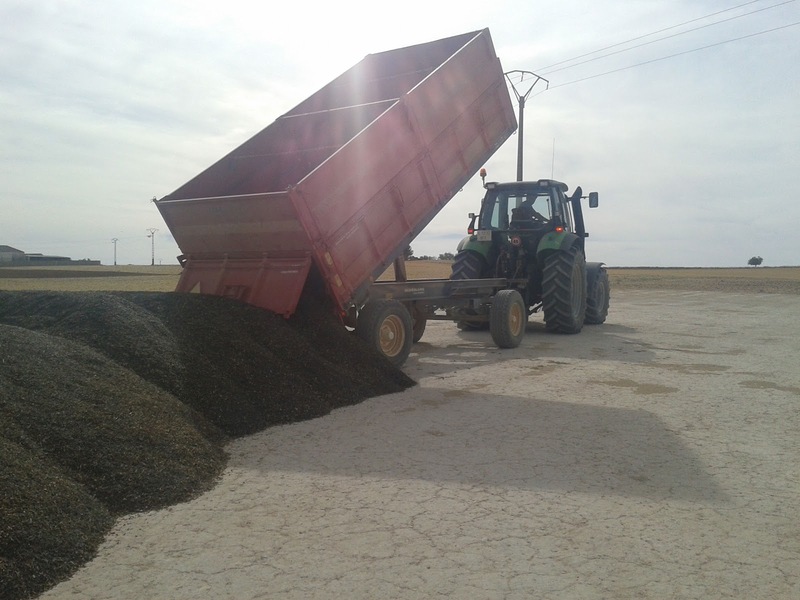 About cutterbar which combine uses, it is the same for cereals but it is adapted with trays where sunflowers fall when they are cut. 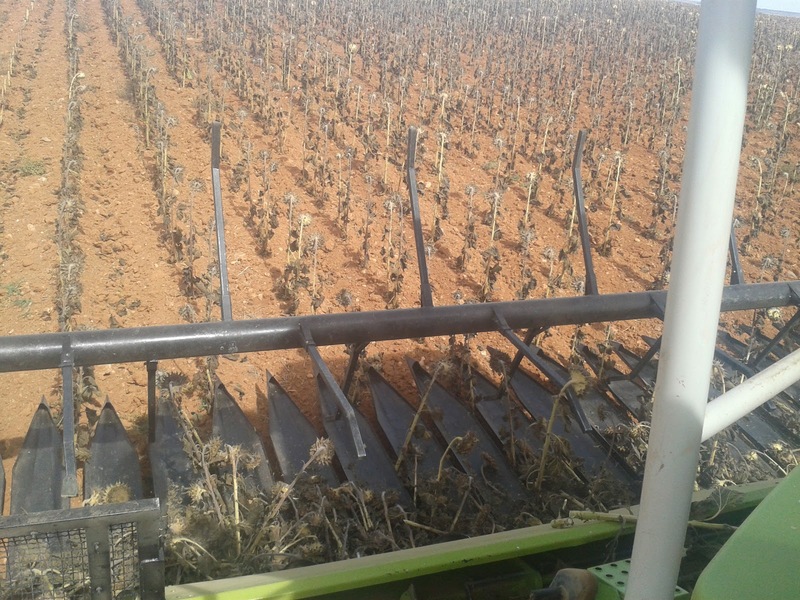 The reel is different too, so it has to push sunflowers which are on trays and sometime this task needs an important power so paddles are fitted to the reel tines.